2018 is quickly approaching and with it will come a slew of new video game titles to look forward to playing. With that said, now’s a good time to start marking down what video games to keep an eye on when they officially launch next year. Let us lend a hand, in this list, in particular, we’re going over the top open world RPG video games launching in 2018. The Monster Hunter franchise is consistently growing and with each new installment a number of new gamers explore the monster filled worlds development studio Capcom has crafted. Monster Hunter: World will mark as the fifth main installment to the franchise and as you can expect, there will be a number of notable updates. This might not be directly an open world video game but players will still find a rather large environments to explore. Also if you’re a newcomer to the series then this will still mark as a great title to jump on but you will find that the gameplay can still be a bit advanced. Luckily the community is very active supporting other players with helpful guides and tricks to make your first hunt a successful one. Dual Universe seems to be quite ambitious and even said to combine elements from Minecraft, No Man’s Sky, Eve Online, Star Citizen, and Space Engineers. Players will share a massive single universe with the ability to edit game worlds by adding structures, altering terrain, along with creating ship scripts and constructs. Dual Universe will focus on collective gameplay with gamers exploring, mining, trading, crafting, and creating in-game politics. Currently we’re still waiting on an official release date for the game but it seems that we may not actually get the title until next year. 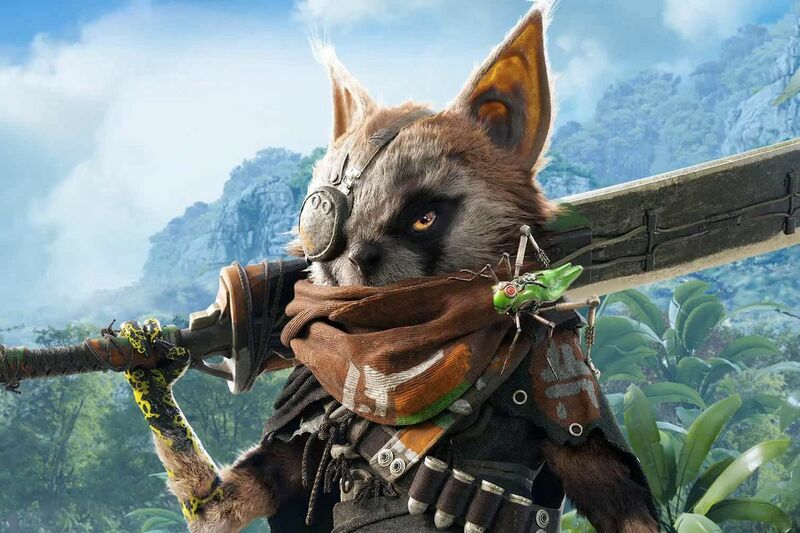 In Biomutant, players take the role of a raccoon-like creature that must save the world. With a poisonous oil springing up from the ground, most the world is quickly infected and dying off. This also has spread to the Tree of Life, a giant tree that casts a life force to the whole world. Players must go to each of the six roots of the Tree of Life and stop the oil and defeat each boss. Furthermore, the game will be tossing players a number of decisions that will affect the overall narrative storyline. Developers Experiment 101 is crafting Biomutant to be an action RPG set in an open world environment where you can freely explore, collect resources and craft new weapons or upgrades. Likewise, players will also be able to change various abilities and augmentations such as adding robotic legs or wings. For those familiar with the Yakuza series, the seventh main installment of the series, Yakuza 6: The Song of Life which will pick back up the narrative storyline players have been following over the years. The game has already released in Japan where it has received a positive reception. Gamers can still expect a brawler type gameplay set in an open world environment. Much like previous installments, players will have the ability to level up various skills and abilities to use against other yakuza thugs in battle. As for the narrative, players will step into the shoes of Kazuma Kiryu once again who is on a mission to learn what has happened to Haruka after being locked away for three years. The game does feature an open world city for players to explore and as you progress you’ll gather exp to use towards making upgrades such as agility or strength along with unlocking new skills. Black Desert Online is already available by developers Pearl Abyss, however, the game is only available on the PC platform. However, soon the game will be launching on the Xbox One platform, where gamers will have a new MMORPG to enjoy with friends. This is a fantasy MMORPG where two rival nations are at war and as a result, there will be quests and missions to take on. Likewise, there is a dynamic weather system, day and night cycle, player housing, active combat system, and mounts. Gamers can work together in the campaign quests or go against each other in PvP areas. Currently, the game is set to the only launch on the Xbox One outside of the PC platform. Of course, we’ll be keeping an eye on the game in case there are any changes. Pillars of Eternity II: Deadfire is a direct sequel to Pillars of Eternity. The video game will take place within Eora where players step into the role of a Watcher. Our protagonist has the ability to look into other character’s souls along with reading their memories or past lives. Now that the god of light and rebirth has awoken, players will find that the god has destroyed his stronghold while also leaving him near death and a desire to seek the god out. Players will be able to explore the in-game world while taking on various quests. However, there has been some complaints online that the level scaling can be thrown off if players end up going through all the quests available while progressing. This RPG is currently only available on the PC platform but the development team over at Obsidian Entertainment is gearing up to release the game on the Nintendo Switch, PlayStation 4 and Xbox One platforms towards the end of this year. Outside of the visual upgrades, the upcoming remake also includes a new storyline that unveils the history of Majima leaving the Tojo Clan. For those of you who have played Yakuza games in the past then you know that the game will be open world. It’s not an massive open world experience, but you can explore the city and take on various quests or battle the occasional street gang. Likewise players will be able to make upgrades and unlocks skills for different aspects to Kiryu such as agility or special attacks. Developers over at Ubisoft seems to also be working more on an RPG progressive system in this upcoming title which ranges from dialogue choices to a skill tree that can help in aspects such as stealth and combat. We’re still interested in seeing just how much of the world is free to explore especially after coming off of Assassin’s Creed: Origins, but in the meantime you can take a look at the world premiere trailer posted above. Fallout 76 is the latest upcoming installment to the Fallout franchise though it will be quite a bit different in comparison to past main installments. Bethesda has developed Fallout 76 to be an online multiplayer title that takes place before previous Fallout games. Within the game, players take on a member from Vault 76 where their goal is to help rebuild the wasteland, twenty-five years after the nuclear war. While this is still an action RPG, the gameplay is centered on building up and maintaining settlements. For instance, when players have managed to build up a base, they will have to defend it from the mutated monsters both old and new along with other hostile players. Luckily it seems that Bethesda has incorporated a feature that will save player creations when they are offline so you won’t have to start completely over. When it comes to exploration of this open world, you’ll find that it will be four times the size of Fallout 4. Additionally the game will be broken down into six sections that will have their own unique rewards and risks. Currently, Fallout 76 is slated to release towards the end of the year though a closed beta will grant players access to the game that will carry over into the full game launch.